Extension will setup India GST in Magento as a default and hence all the tax operations will automatically align to the new GST standards. 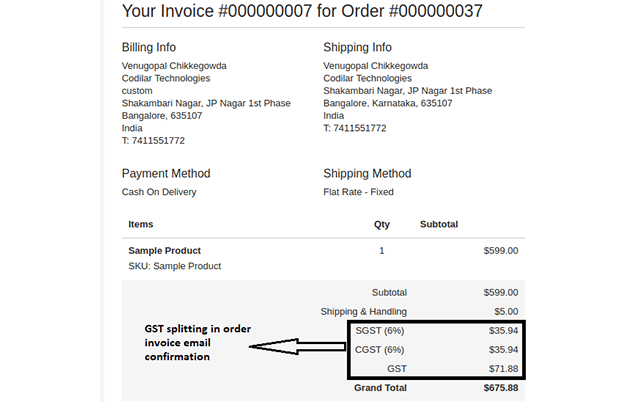 The word ‘TAX’ to get replaced by the word ‘GST’ in all transactional emails and pdf files. 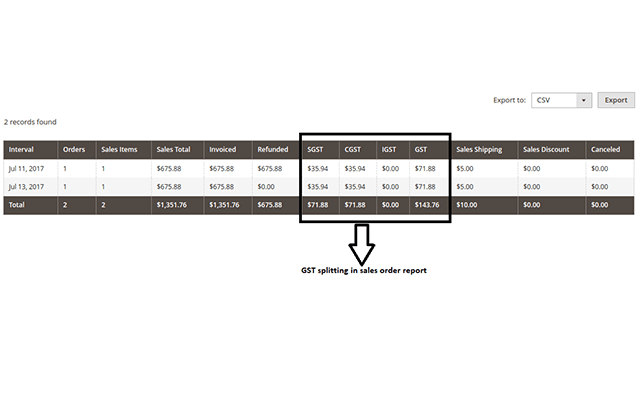 Generate reports of GST collected separately for CGST, SGST and IGST. Follows Magento Tax Rules architecture, hence works out of the box without conflicts. 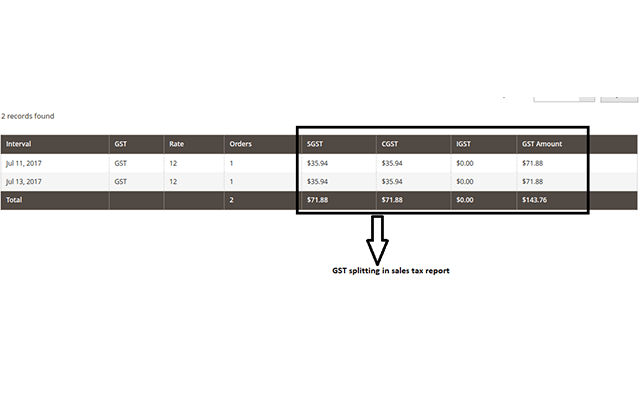 Automatic tax splits for SGST, CGST and IGST based on the production state and tax rules. 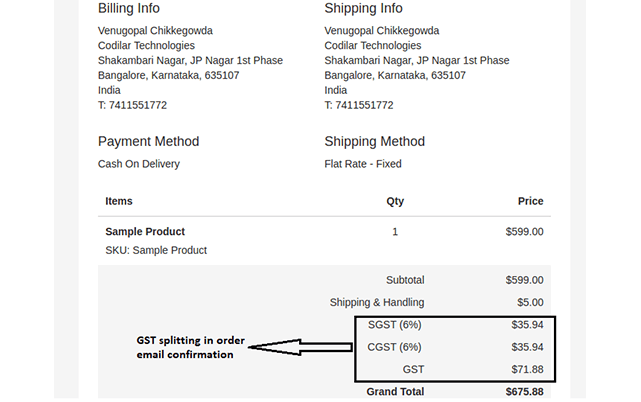 Multi-store support: Enable GST logic only to required stores. 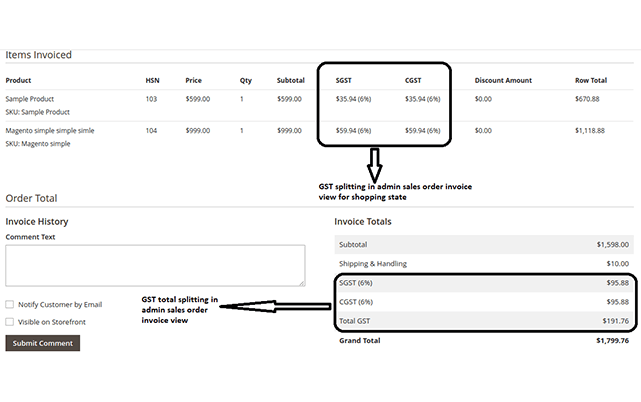 Separate columns for SGST, CGST and IGST in the admin panel area for Order and Invoice management. 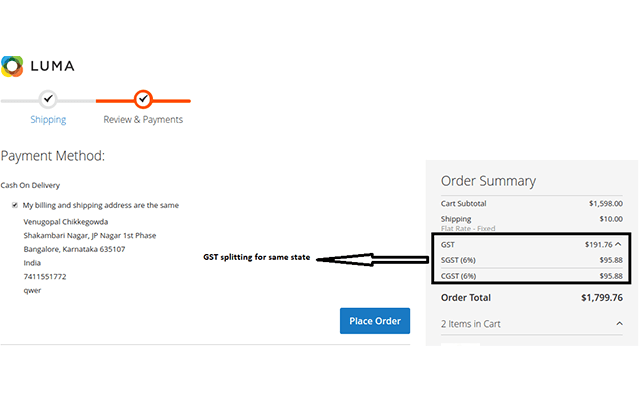 All invoices, orders and their respective PDFs are attached with GST number. 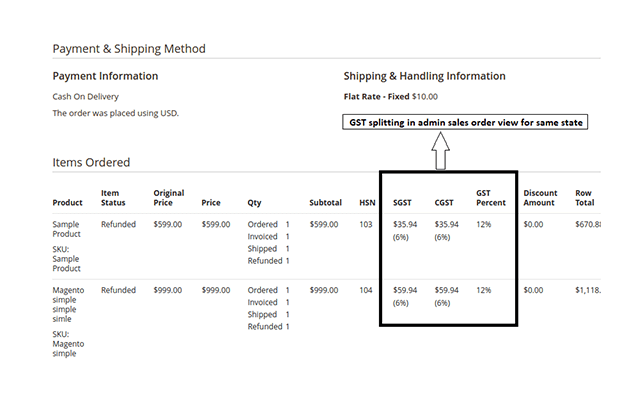 Optional buyer level GSTIN included in invoice. 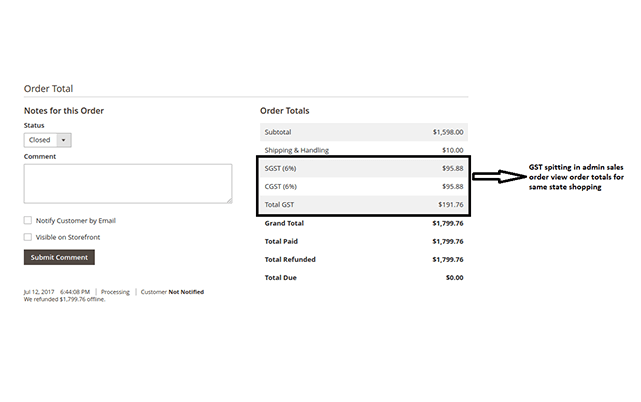 Option to display HSN value in invoice. Full solution to manage GST as per government rules for any kind of scenario, product categories and tax slabs. 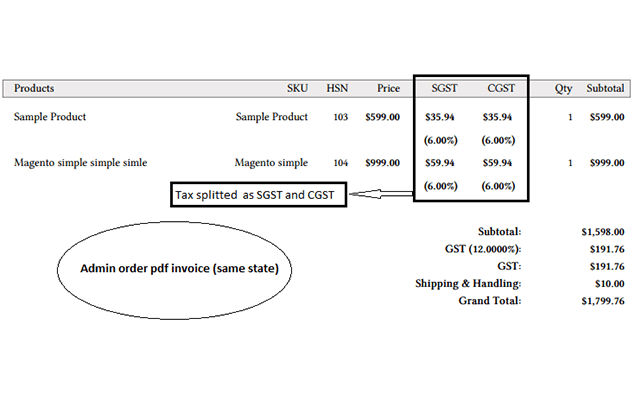 GST compliant invoices including PDF and emails. 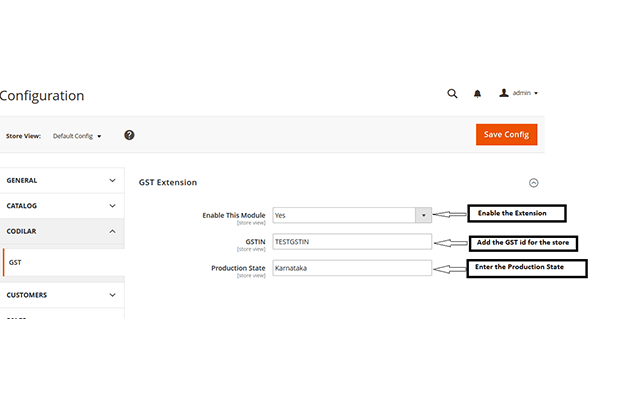 In this extension module we will setup India GST in Magento as a default and hence all the tax operations will automatically align to the new GST standards. Though GST seems to be a promising affair for e-commerce, it might still sprout complexities like any other change in the system. 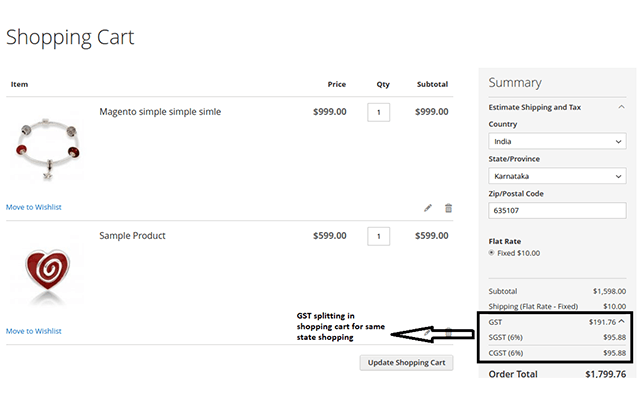 Magento GST Tax implementation stage and make it the simplest possible process. 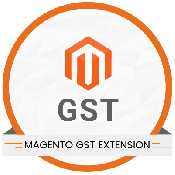 We effectively configure Magento GST extension to cater to changes related to invoice generation, payment collection, monthly GST filing, and product catalogues. I checked the demo and then decided to buy. Works fine, go for it. Good support and satisfied thanks! just i got it customized to match with my requirement, and they are faster in all the sense. All features are shown are typically the ones that we need. Good plugin. 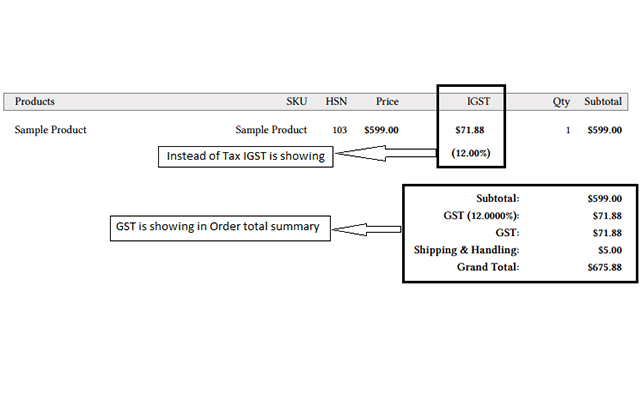 Is it possible to configure different GST rates for different products? Yes, this is possible by using Product Tax Classes just like the Magento default taxation mechanism. I have one step checkout, will the extension show the taxation in the same? No. 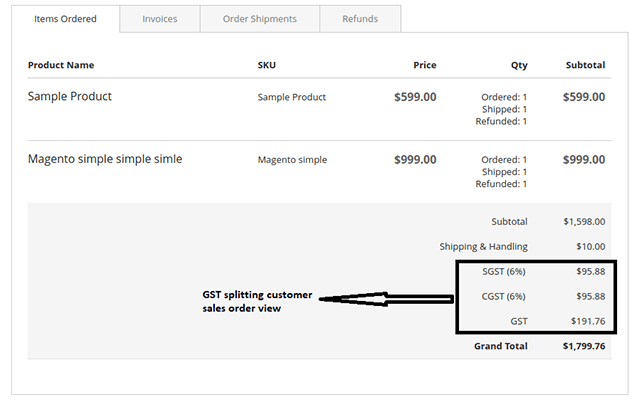 We will have to customize extension for the GST splits to be displayed. We can do this for you at an additional fee. Will it work with 3rd party PDF invoice plugin? No. 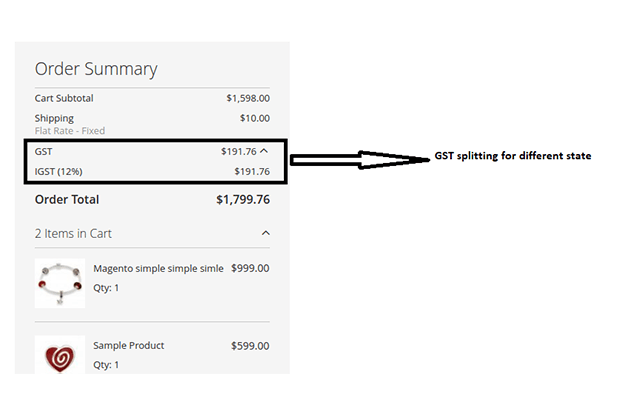 We will have to customize the extension for the GST splits to be displayed. We can do this for you at an additional fee. Please contact us to get a quote for bulk domain purchase. The extension, however, is free to be used on any number of sub-domains. Yes, our code is 100% open-source. You are free to make any customization. Will the extension impact our integration with ERP, POS, Accountings systems? Since our extension follows the Magento taxation architecture, it will not impact any other system. If I opt for the installation service, how long would it take? We will complete the installation in 1-2 days. Customization will take additional time which will be estimated to you.